Write down the word you are searching for and press enter. Minimum query is 3 letters. A rooster, a cat, and a goat meet a trio of ignoble characters deep in a night-shrouded forest in this hand-illustrated, Cannes prize-winning folktale, which showcases Trnka’s gift for evoking light and shadow. 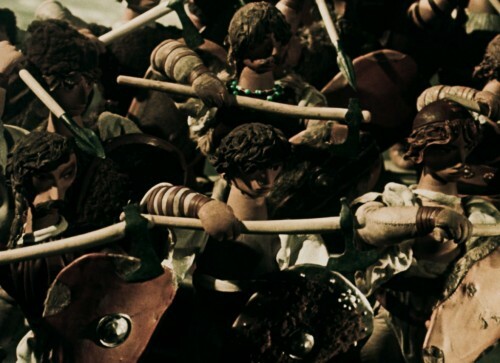 THE CZECH YEAR (Špalíček, 1947) Trnka established his reputation as a world-renowned master of puppet animation with his Venice prize-winning first feature, a kinetic visual symphony bursting with music and dance that celebrates the customs and folklore of the Czech people. 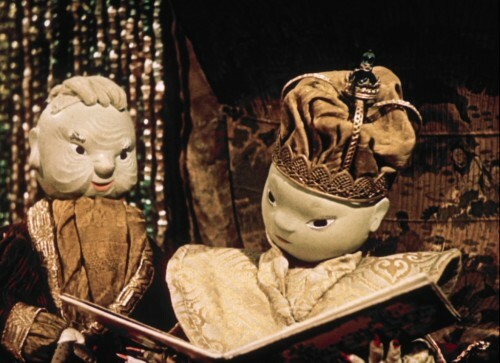 THE EMPEROR’S NIGHTINGALE (Císařův slavík, 1948) Trnka’s adaptation of a classic Hans Christian Andersen fairy tale—about a Chinese emperor ensorcelled by the song of a mechanical nightingale—is an enchanting animated jewel box awash in hallucinatory, storybook imagery. 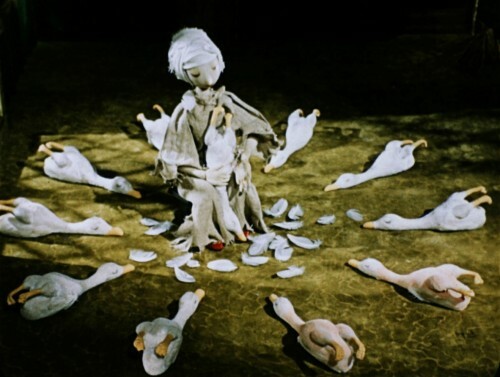 BAYAYA (Bajaja, 1950) A young peasant embarks on a quest to free his mother’s soul from purgatory and save three princesses from a host of hydra-headed dragons in this alternately lyrical and rousing medieval-set adventure based on Czech fairy tales. 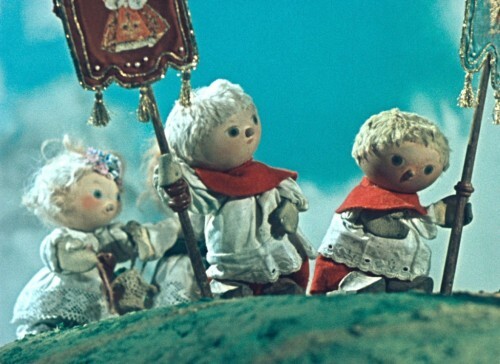 OLD CZECH LEGENDS (Staré pověsti české, 1952) A treasure trove of Bohemian myths are brought to life by Trnka’s magical puppet work in this folkloric hymn to the Czech land, history, and people, which features a breathtaking climactic battle sequence worthy of Kurosawa. 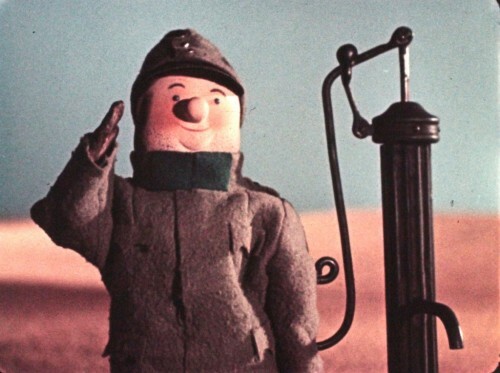 THE GOOD SOLDIER ŠVEJK (Osudy dobrého vojáka Švejka, 1954) This riotous anti-authoritarian satire—based on the scathingly funny, hugely influential anti-war classic of Czech literature—charts the exploits of a hapless World War I infantryman with biting, subversive wit. 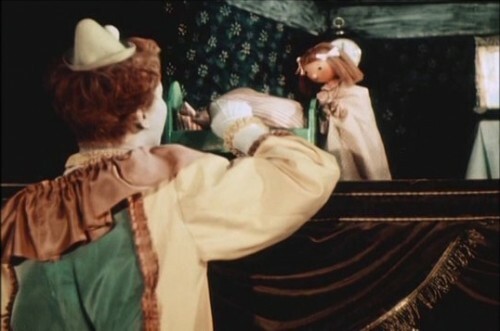 A MIDSUMMER NIGHT’S DREAM (Sen noci svatojánské, 1959) This bewitching adaptation of Shakespeare’s romantic fairy tale is a masterpiece of surpassing, balletic beauty that plays out amidst a garlanded, pastel dreamscape GRANDPA PLANTED A BEET (Zasadil dědek řepu, 1945) A farmer finds himself with an unusually fertile bumper crop on his hands in Trnka’s first film, a charming hand-drawn adaptation of a Czech fairy tale that announced the director as an animation talent to rival Disney. 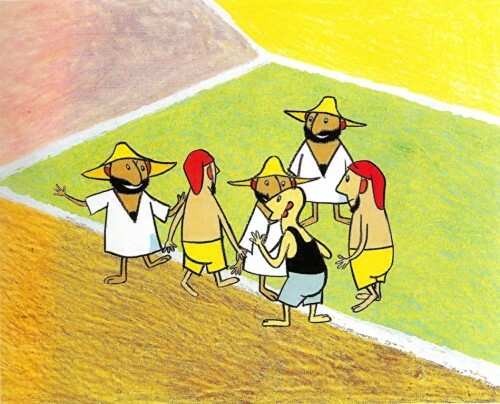 THE ANIMALS AND THE BRIGANDS (Zvířátka a petrovští, 1946) A rooster, a cat, and a goat meet a trio of ignoble characters deep in a night-shrouded forest in this hand-illustrated, Cannes prize-winning folktale, which showcases Trnka’s gift for evoking light and shadow. 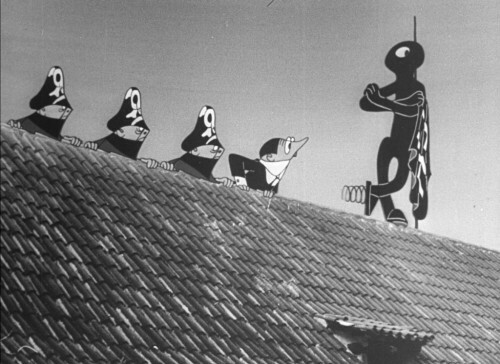 SPRINGMAN AND THE SS (Pérák a SS, 1946) Trnka combines 2D and collage animation to striking effect in this zanily offbeat, anti-Nazi lampoon, which crosses Max Fleischer-like absurdism with a biting satirical edge. His first collaboration with Jiří Brdečka. 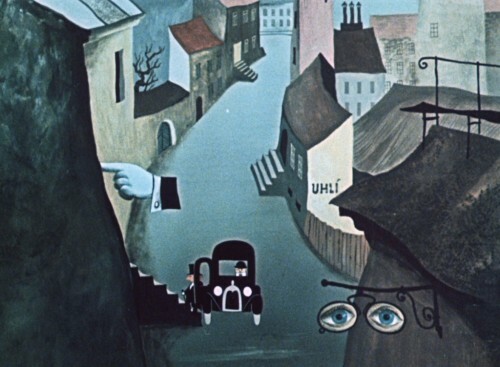 THE GIFT (Dárek, 1946) Trnka reached new heights of modernist abstraction with this innovative, surrealist mini-masterwork, which critic Jean-Pierre Coursodon likened to the Citizen Kane of animation. 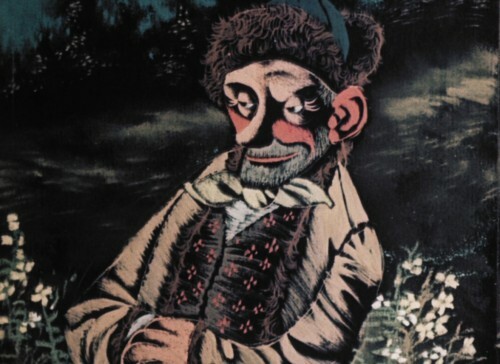 ROMANCE WITH DOUBLE BASS (Román s basou, 1949) This dreamily beautiful puppet work adapts a short story by Chekhov into a magical, moonlit reverie about a musician, a princess, and a chance encounter while night-swimming. 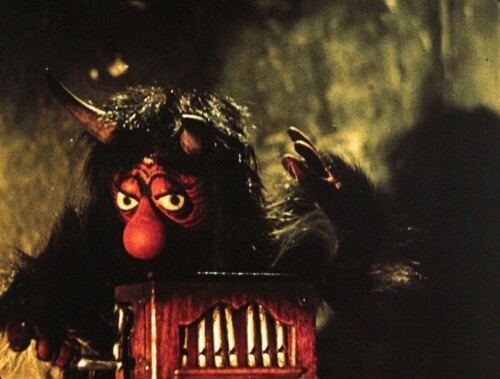 THE DEVIL'S MILL (Čertův mlýn, 1949) A barrel organ grinder meets the devil on a mysterious moonlit night in this haunted house fable, which showcases Trnka’s atmospheric use of sound to conjure a macabre mood. SONG OF THE PRAIRIE (Arie prerie, 1949) One of Trnka’s most delightfully silly efforts is a slapstick spoof of John Ford’s Stagecoach and Hollywood singing cowboy Westerns based on a popular novel by Jiří Brdečka, who would later direct his own adaptation, the cult favorite Lemonade Joe. 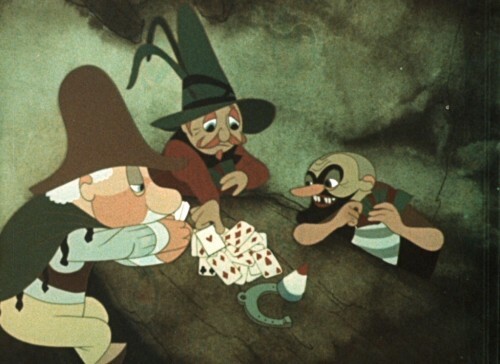 THE GOLDEN FISH (O zlaté rybce, 1951) Trnka returned to 2D animation for this wryly humorous fairy tale—written and narrated by legendary Czech actor Jan Werich—about a man whose problems only multiply when he catches a wish-granting fish. 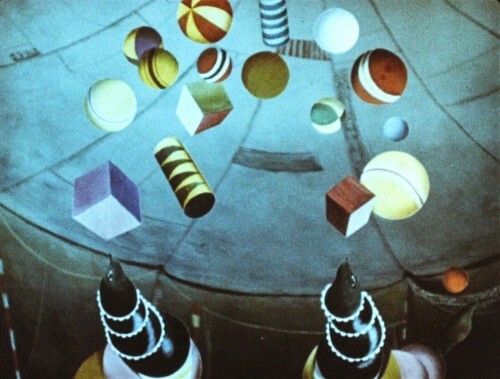 MERRY CIRCUS (Veselý cirkus, 1951) Trnka brings to life a surrealist circus of tightrope-walking fish, musical monkeys, balancing bears, and high-flying acrobatics in this whimsical feat of cut-out animation made in collaboration with leading Czech painters of the era. 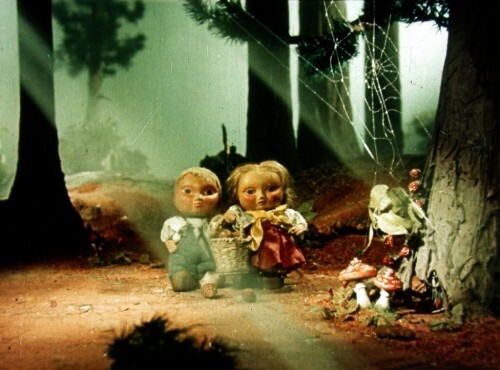 THE GINGERBREAD HOUSE (Perníková chaloupka, 1951) The Czech version of Hansel and Gretel receives a captivating, puppet-animated adaptation, featuring striking—and fittingly macabre—storybook imagery designed by Trnka and direction by his close colleague and animation heir, Břetislav Pojar. 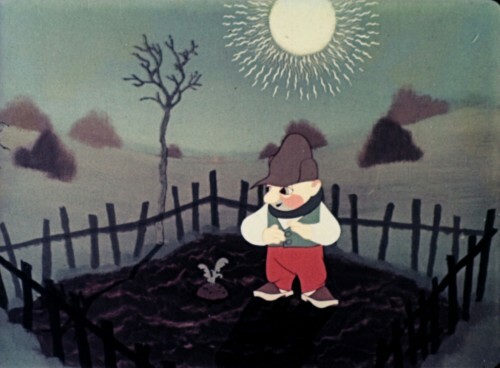 HOW THE OLD MAN TRADED IT ALL AWAY (Jak stařeček měnil, až vyměnil, 1953) Folk art-like hand-drawn stills illustrate this sweetly simple pastoral fable, in which a peasant comes into possession of a small fortune—but realizes there are treasures greater than gold. 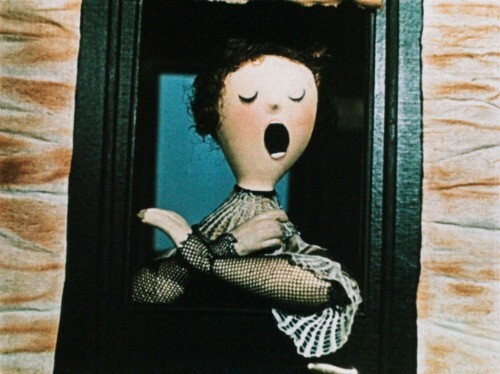 KUŤÁSEK AND KUTILKA (Kuťásek a Kutilka jak ráno vstávali, 1954) How do you wake up a sleeping puppet? 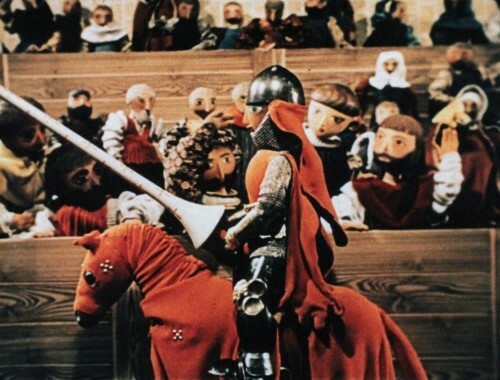 Made by Trnka in collaboration with actor and puppeteer Josef Pehr, this winsome mix of live action and puppet play is enchanting entertainment for the youngest of viewers. 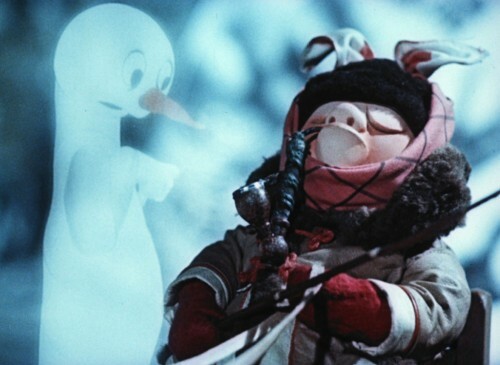 THE TWO FROSTS (Dva mrazíci, 1954) Two mischievous frost spirits—voiced by famed comedian Vlasta Burian and author, popular actor, and satirist Jan Werich—make things chilly for a pair of travelers in this wintry comic folktale. 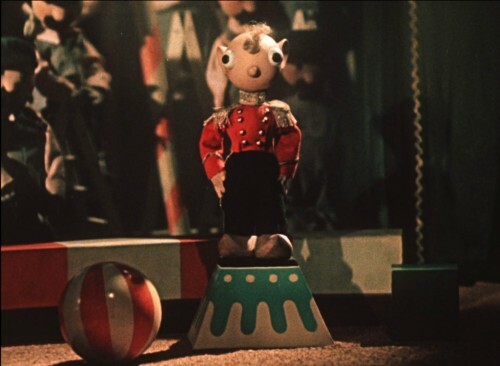 CIRCUS HURVÍNEK (Cirkus Hurvínek, 1955) Trnka pays homage to two of Czechoslovakia’s most beloved characters—Spejbl and the mischievous Hurvínek, a father and son duo created by Trnka’s puppeteer mentor, Josef Skupa—in this imaginative tale of a young boy who dreams of being part of the circus. WHY UNESCO? 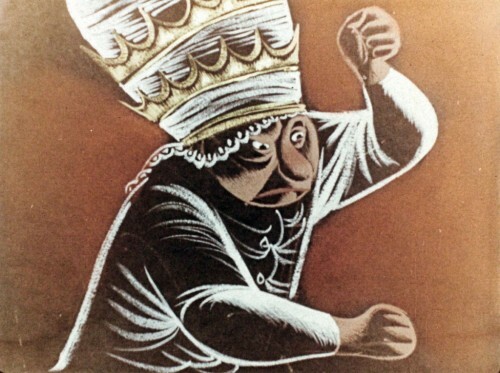 (Proč UNESCO?, 1958) Commissioned by the United Nations Educational, Scientific and Cultural Organization (which considered Disney for the assignment before settling on Trnka), this cartoon short employs strikingly simple animation to make the case that all of humanity is enriched when we tear down the walls that separate us. 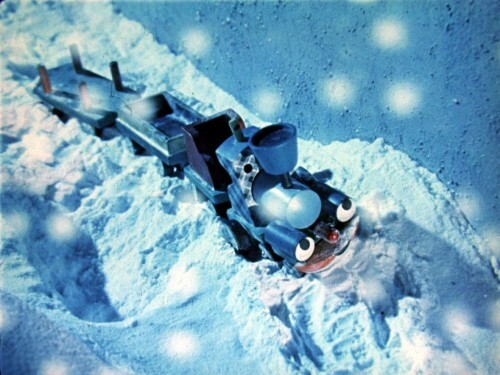 THE MIDNIGHT ADVENTURE (Půlnoční příhoda, 1960) An old woodblock train meets its shiny new electric replacement one Christmas Eve night in this glowingly nostalgic stop motion toy story, directed by Břetislav Pojar and featuring gorgeous design by Trnka. PASSION (a.k.a. 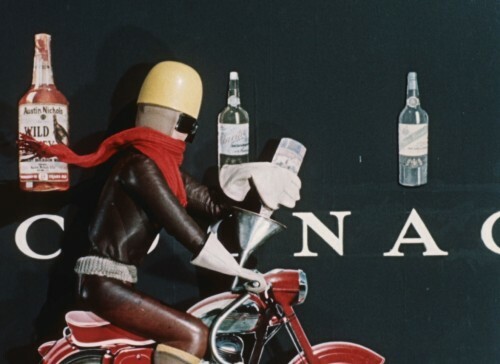 OBSESSION - Vášeň, 1962) A boy’s need for speed causes problems throughout his life in this triumph of modernist design, which blends puppet, stop motion, collage, and cut-out animation with a gothic humor and Pop Art-like visual design. 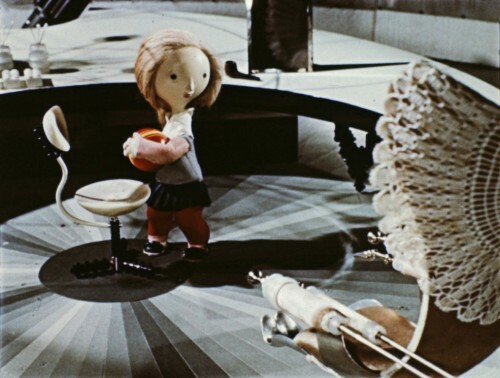 CYBERNETIC GRANDMA (Kybernetická babička, 1962) Trnka took a turn into Space Age sci-fi surrealism with this dark, dystopian satire on automatization in which a child traverses a forbidding technological wasteland to meet (surprise!) her uncanny new robotic grandmother. ARCHANGEL GABRIEL AND MISTRESS GOOSE (Archanděl Gabriel a paní Husa, 1964) Adapted from a story in Boccaccio’s Decameron, this irreverent, medieval-set lampoon of religious hypocrisy mixes Christian iconography with bawdy black humor to tell the tale of a lusty Venetian monk who assumes the guise of the angel Gabriel to seduce a married woman. 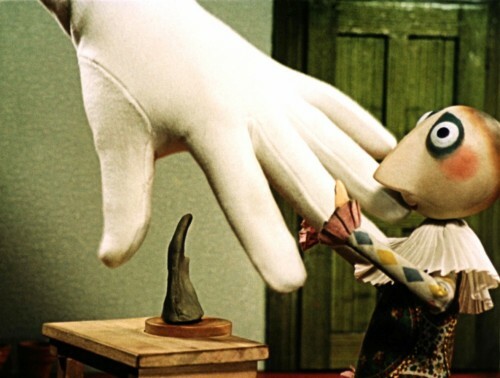 THE HAND (Ruka, 1965) Trnka’s last work is a powerful, deeply personal allegory about the plight of the artist toiling under the restrictions of a totalitarian government. 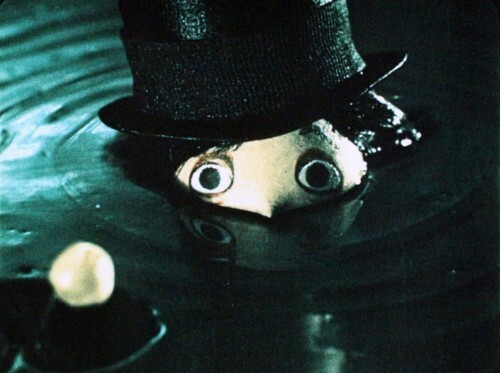 The story of a simple sculptor who is menaced by a giant, disembodied hand that forces him to bend to its will, it was banned by the Communist censors for two decades—but has since taken its place as an acknowledged masterpiece of animation. FILM SOCIETY OF LINCOLN CENTER "A Midsummer Night's Dream Q&A with Tereza Brdečková"